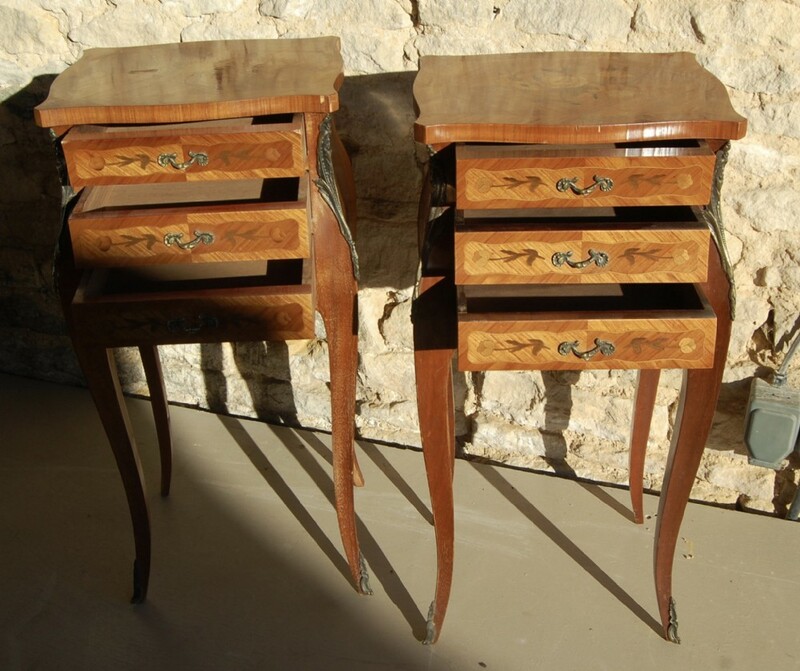 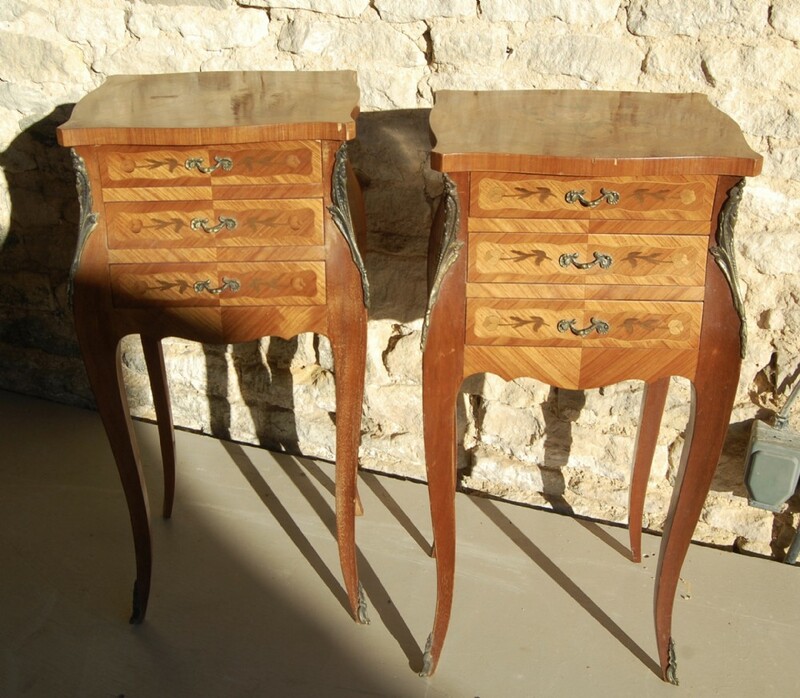 Very pretty pair early 20th century French inlaid side tables. 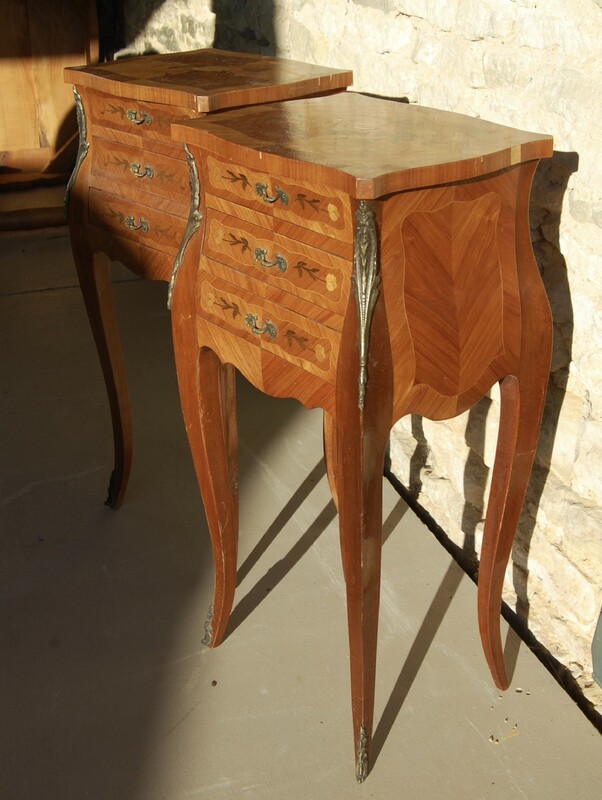 3 Drawers with floral inlay, bomb sides with brass ormolu mounts. 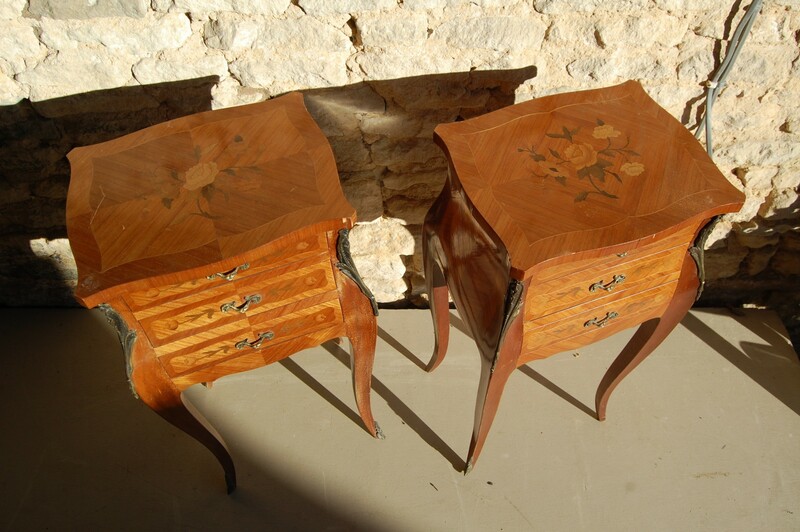 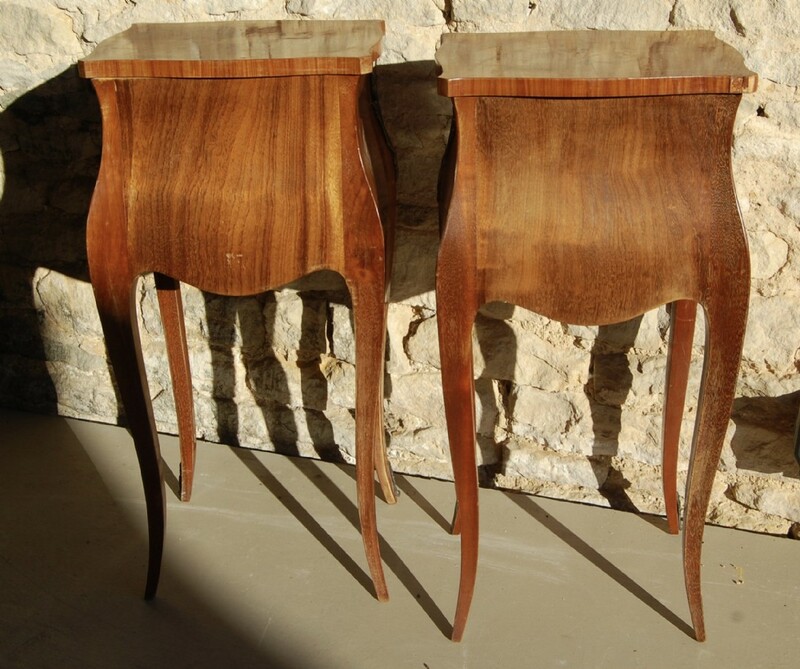 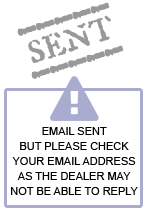 The 20th Century French Inlaid Side Tables has been added to your saved items.